Designed by Ludwig Mies van der Rohe, one of the most influential architects of the 20th century, the Farnsworth House is the quintessential example of modern design. One of only three such examples of the intimate, domestic structures designed by Mies van der Rohe, the Farnsworth House is tucked away into a quiet, sanctuarial grove on a gorgeous stretch of the Fox River in Plano, Illinois. Many locals are surprised to learn that this iconic home has the power to attract visitors by the thousands each year from around the world. To visit Farnsworth House is to step back in time, and also, in a sense, to pause it. The hike from the visitor center through the lush natural environs surrounding the home provides ample opportunity for reflection. 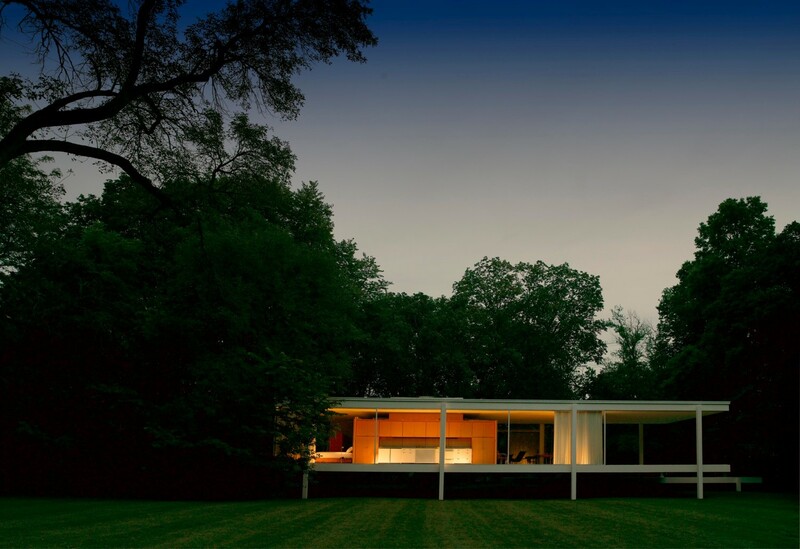 The immediate sensation upon encountering the incongruity of the glass walls and right angles of the home in its pristine organic setting is as unexpected as sighting a spacecraft in camouflage; the parallel planes of the Farnsworth House appear to levitate, held in elegant suspension above the Fox River. That the home serves many purposes now should come as no surprise: its unadorned beauty invites projection. As an instructional example of architectural design, it is unsurpassed. But even for those without a background in engineering or a penchant for drawing clean lines, the Farnsworth House illustrates something fundamental about the possibility of harmony between where we live and who we are. 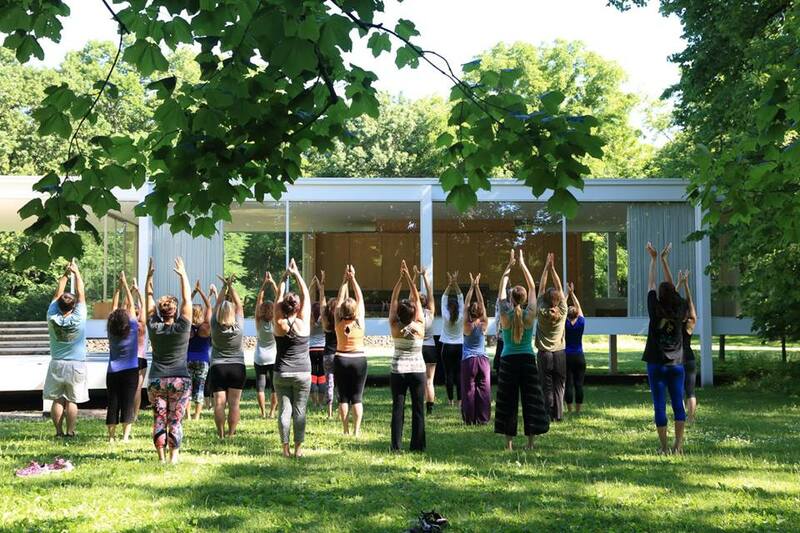 Whether during a morning of yoga, a midday concert, or a moonlit guided tour, it is tempting to consider Mies van der Rohe's apparent regret in his final years that he'd never designed a cathedral and wonder, if he could get a glimpse at how the Farnsworth House is used today, whether he would come to understand that he had. Plan your visit to the Farnsworth House now at www.farnsworthhouse.org. Find more information on architecture in the Aurora Area at the #EnjoyAurora blog.